How Is Air Purifier Capacity Calculated? Choosing an air purifier is a process in which many different factors need to be taken into account. These factors include the type of filtration you need, the size of the space involved and the features you want your unit to have for added convenience and functionality. One of the most important of these is the size of the space a given unit can work effectively in. Today, we’ll be covering how air purifier capacity is calculated and what you need to know to pick the right unit for your space. All air purifiers have a capacity rating that is given in square feet. In case you need a refresher from high school math, this measurement is arrived at simply by multiplying the length of a space by its width (to make the process easy, check out this handy square footage calculator). A 15-foot by 20-foot room, for example, has an area of 300 square feet. To be effective, the capacity of your unit should be greater than or equal to the size of your space. In a 700-square foot apartment, for example, an 800-square foot capacity air purifier would provide good coverage, while one that is only rated for 450 square feet wouldn’t give you comprehensive purification throughout the apartment. When in doubt, it’s always a good idea to go a little too high as opposed to a little too low. One thing that’s very important to note is that the square footage used in residental air purifier capacity ratings is based on a space with 8-foot ceilings. 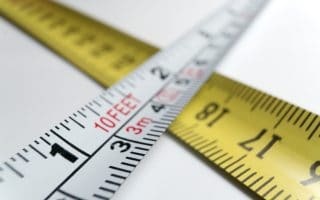 If you’re working with a space that has very high ceilings, you need to take that into account by calculating cubic footage, as opposed to square footage. Say, for example, you had a square room that was 20 feet long on all sides with 12-foot ceilings. As with square footage, we’ll multiply the length and the width of the room together. Then, to arrive at a measure of cubic footage, we’ll multiply the result by the height of room. In this case, that number ends up at 4,800 cubic feet. To figure out whether an air purifier will provide adequate coverage in a space with higher ceilings, we can multiply its square footage rating by 8 (the assumed height of a normal ceiling in that rating) to arrive at the cubic footage it can cover. Say, for instance, we have an air purifier rated at 800 square feet, and we want to find out whether it would provide adequate coverage for the example room above. Multiplying the unit’s square foot rating by the height of the ceilings assumed in it, we’d find that this air purifier can handle up to 6,400 cubic feet, making it more than ample for the 4,800-cubic foot space. For most residential buyers, cubic footage won’t be necessary to calculate, as most homes and apartments have ceilings that are roughly 8 feet high. If you need help figuring out the air purifier capacity you’ll need in your space, feel free to contact us directly, and we’ll be happy to help you select the perfect unit.